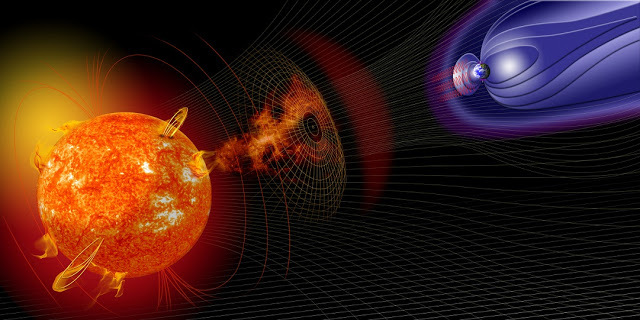 A G1-class (minor) geomagnetic storm may hit Earth on Sunday, September 23, according to National Oceanic and Atmospheric Administration (NOAA). On that day a solar wind stream is expected to reach our planet’s magnetic field. G1-class storms can trigger auroras visible around Earth's poles and weak power grid fluctuations. Such storms could also have minor impact on satellite operations. Fast coronal hole high speed streams (CH HSSs) can impact Earth’s magnetosphere enough to cause periods of geomagnetic storming to the G1-G2 (moderate) levels; although rarer cases of stronger storming may also occur. The larger and more expansive coronal holes can often be a source for high solar wind speeds that buffet Earth for many days. Although solar activity is expected to be generally very low until October 13, NOAA predicts that due to the anticipated influence of multiple, recurrent CH HSSs, G1-class geomagnetic storms are expected on October 7 and 10. Moreover, the possible October 7 storming could become even stronger and reach G2 level on the next day. Bad day to be online.